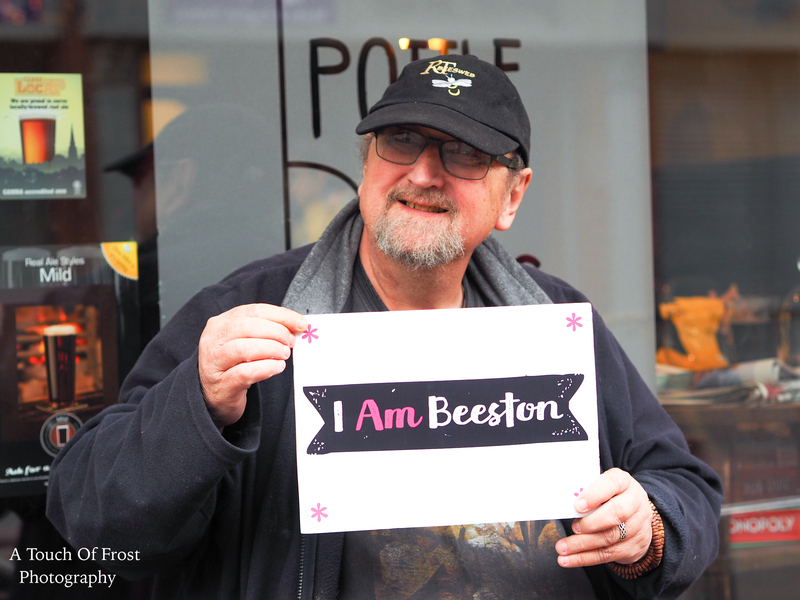 I haven’t lived in Beeston for many years although I was born and raised here. I was born in Chilwell, just across the road from the Charlton Arms and in 1936 or ’37 (I don’t exactly remember, I was about 4 years old) my parents moved into a new house on Queens Rd West, close to Chilwell Manor Golf Course and across the road from the field at the rear of Barton’s garage where I and my mates played among the piles of old tyres left there. In Sept 1937 I started school at Church St School just behind Beeston Parish Church. Now, I am left handed and every time I picked up a pencil in my left hand, I was rapped over the knuckles. After three months of that I developed a severe stammer so I was removed from there and went to Park Lodge, a primary school on Park Rd just along from the Hop Pole on Chilwell Rd Beeston – or High St Chilwell, as the pub marks the change of name. It was only a few minutes’ walk from home up what I see is now called Wilmot Lane but all the time I was there was called Factory Lane. Myford’s Lathes were made in the semi derelict buildings at the top of the lane and opposite the Hop Pole. During the war, it is surprising how much freedom we kids had after school. There were relatively few people around, most men were in the Forces unless they were in essential industries, Police and emergency services. We would wander for miles and as long as we were home for dinner, no one seemed to worry. We played in Barton’s field, in the golf course and around the Attenborough Nature Reserve which we knew just as ‘The Gravel Pits’. Certainly in the early part of the war we had plenty of air raids when we had to leave home and go to the shelters which were erected all over the place. The nearest shelter to home was about 100 metres along the road towards Beeston. The warning was warbling sirens from all the factories and the All Clear after the raid was a steady note from them. Even after all these years, if I hear a warbling factory siren, my stomach does a little flip! In 1943, there was a severe scarlet fever epidemic and hospital buildings kept for a possible smallpox epidemic were opened to isolate those with scarlet fever. I got it and was put in hospital somewhere near the old City Hospital. My parents visited me twice a week: they were not allowed to actually enter the ward but stood at the closed door and we talked through the glass. I was always given a big bundle of comics and magazines which my dad collected from his workmates. He was one of the managers at Ericsson Telephones factory. I had ‘complications’ so spent 13 weeks in the hospital. They were Impetigo, scabies, ringworm etc, all skin diseases caused by poor hygiene in the ward and as a result I was unable to take the 11 Plus school exams. Nothing from the hospital ward was allowed out while we were ill and for that 13 weeks, 7 days a week, dinner was Irish Stew and Rice Pudding. It was years before I could face either of those dishes again! The 11 Plus decided whether you went to a Grammar School or a very basic Comprehensive School. As I couldn’t take the exam, that would have meant the Comprehensive School so my parents sent me to West Bridgford High School on Musters Rd, a private school owned and run by Mr and Mrs Caro. I don’t know what happened to the school after I left but I found it had been closed some time when I was in Nottingham some 16 years or so ago. I well remember the big floods of 1946 and ’47. The school was closed for a month on both occasions. The 1947 floods were the worst, Ericsson’s factory was surrounded by water, there was a wall round the site which with pups running all the time, kept the water out of the factory. To get people to work, double deck buses would run through the floods with extensions to lift the exhaust pipe out of the water and the workers would ride on the upper deck. My dad told me later that when the waters had receded enough to turn the pumps off, there was sufficient fuel left for around another 12 hours or so. Nothing quite makes you question mortality than those two great bookends of life: birth and death. The former had been dwelling on my mind for some time, as my son grew from the size of a poppy seed when the pregnancy test striped, to 8lb 6oz of squirming, screaming life, emerging in early November after a torturously long labour. The feeling that had grown through the nine months preceding the labour became flesh: I was now responsible for a life. Looking at him, blinking under hospital lights, I realised that what he became was an empty canvas. It was up to myself and his mother to paint his early life, set him on the right paths. Trying to extrapolate what he would become when he was my age…it’s a heady, terrifying thought. Around the same time, in the days leading up to his arrival, I became aware of a departure. Stuart Alexander Smith was a guy I had not known long, but had become very fond of. I’d first met him when I asked a friend to help me mend a bike I’d been gifted. Stuart had tagged along. He was new to the area, and this had got him out the house. Afterwards we had a cup of tea – he was teetotal – and a chat. He was instantly personable, instantly interesting. He was fascinated with The Beestonian, and became an avid reader, reading each issue cover to cover and letting me know the bits he particularly like. “Write for us one time” I suggested “A view of Beeston from an ex-con who has come here to find a quiet life”. He liked the idea, but I never received any copy. A gentle man hidden behind a rough demeanour, I realised I hadn’t heard from him for a while. The random meetings on the High Road, where he’d tell me of the life he was rebuilding after a spell in prison. It too had been a while since I’d received one of his FB messages asking for advice about Beeston (he was from the South, as you’d know instantly by his deep, cockney accent), or his thoughts on politics (hugely anti-authoritarian, but mellowing & inspired by Corbyn to join Labour). I checked his Facebook page, and was shocked and saddened to see people leaving tributes to his life. Stuart had died. I didn’t even know he was ill. I contacted his friends. They explained he’d had a cancer diagnosis which was too advanced to treat. It all happened quickly apparently. Not enough time to hear about it, not enough time to say goodbye. How could a man, so full of heart and generous of spirit, leave like that? How awful was it that just as he was finding some peace in his life, he would be taken so ruthlessly? I couldn’t make his funeral, a week after the birth of my boy. The experience of a difficult birth had taken a huge chunk out of my wife’s energy, and her recovery was slow yet steady. Others did make it to Bramcote Crematorium, on a cold November afternoon, one of those grey days where the darkness never really breaks. Other jobs followed. “He had many facets” Gareth explained “scholar, builder, surveyor, wheeler, dealer, wheeler dealer, music lover, audiophile, free thinker, comedian, poet, philosopher, mystic, conspiracy theorist, conspiracy theory debunker, detectorist, angler, space cadet, star ship captain, and covert galactic special forces operative, to mention a few”. However, his liberty was curtailed in the late noughties when he was given an eight-year sentence for drug offences. His thirst for knowledge never ebbed: he was an incredibly well-read man “Prison is great for books” he once told me “I was a captive audience. They were my escape”. Released on license in December 2012, Gareth took him in. “We couldn’t see him going into some awful offenders’ hostel, or something” he explained. This is when I would have first met him. He was infinitely interesting, often bizarre in his esoteric look at the world, but even his more outré ideas were underpinned by a great love of humanity. It may seem bizarre to print an obituary in this mag. It may seem especially odd that if it wasn’t for a kind friend taking him in, he would never have become a Beestonian and crossed my path. But he did, and he deserves some form of memorial. Beeston barely knew him, and I have no doubt that if cancer hadn’t snatched him away, he would have become a great part of our community. It was not to be. So let this serve some form of memorial to a man of great humility; and the potential we lost when he finally found that ultimate peace. Like the White Queen in ‘Alice Through theLooking Glass’’, I try to believe six impossible things before breakfast, but Trump becoming US President was a one too many. So when I found out that an ‘Alice in Wonderland’ themed café had opened up near the Nottingham Railway Station, I just had to go down the rabbit hole and find out all about it. The Wonderland Café is situated in the basement of the old Hopkinson building on Station Street, and began trading in December. It is the creation of Beestonian Ash Hudson, who lives in the Rylands, but is originally from Chesterfield. Ash had previously worked there selling watches from a stall. When the tearoom closed down, he had the crazy idea of running one himself, using his favourite book as inspiration. And so Wonderland was born. It is currently open seven days a week between 12 & 5pm. Hopkinson’s began as a Victorian engineering business, but in 2010 the building became an arts centre. In fact I exhibited some photographs there in that year, as part of a Flickr group that I was involved in. But now it contains three floors crammed with antiques and collectables: real nostalgia trip down Memory Lane. There are two ways to reach the café. One is to hunt out the stairs amongst the shelves of bric a brac, while the other is more direct, being down the side alley, where signs and a mannequin direct you. Due to the high winds that day, Ash had had to lock those away, so the stairs it was. The café area is quite large, with twelve tables and seating for fifty people. Motifs from the book are everywhere, although Ash was keen to point out that he has followed Carroll’s original novel, rather than the 1951 Disney film. Ash of course is the Mad Hatter. There isn’t really anyone else he could be. He employs two waitresses, who become The Red Queen and Alice, when they are looking after the customers. Of which there are many, especially on a Saturday. There is a small, but interesting menu, with teas, sandwiches, and a stew on offer. And of course cake, some of which come courtesy of our very own Beeston Brownie Company. Tea parties, either for two people, or groups, are welcomed, and themed events are in the pipeline for this year, the first being a ‘Lonely Queen of Hearts’ speed-dating event set for St Valentine’s Day. The café has been kitted out with props sourced directly from Hopkinson’s. Someone that works in the building has specially made some of the more intricate and unusual items, while two flamingos came courtesy of eBay. Local graffiti artist ‘smallkid’ has used spray paint to create a forest scene of giant mushrooms along one wall, and a row of grinning Cheshire Cats and the signage outside. The Internet has been brilliant for Wonderland, as its story was one of the most locally shared on Facebook during 2016, with over 11,000 mentions. 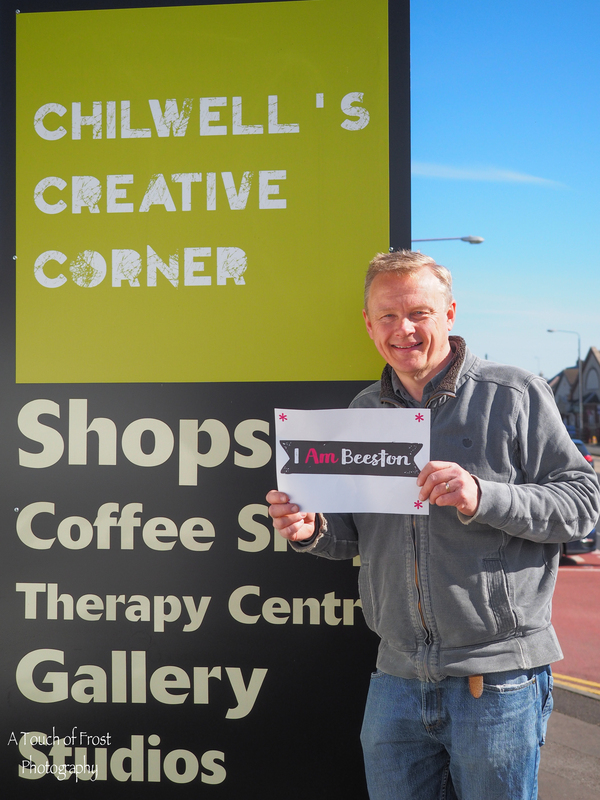 Ash originally wanted to open a café in Beeston, as he loves the town so much, and was looking at the former estate agents on Wollaton Road, but was beaten to it by what is now home to vintage café ‘Time For Tea’. The future looks exciting, as Ash has plans to turn the rest of the basement area into a bar/restaurant. He is going to launch a Kickstarter project in May, which we wish him luck with. Wonderland can be contacted on 07930 877496. She’s not actually from Beeston, and a musical Zelig: “Sssshh! Yes, I’m from a place called Kinver in the West Midlands. I worked in a branch of Boots there, selling records, to, amongst others, Robert Plant and Roy Wood”. As is Benjamin Zephaniah: “He was in Nottingham filming Celebrity Antiques Road Trip, and the production team rang me up as he was looking for good vegan food. We were busy, and I didn’t realise it was him, so told them I was totally full. He then turned up in a beautiful velvet suit and had lunch. We didn’t have any hot sauce – he loves really hot sauce – but he seemed to enjoy it”.